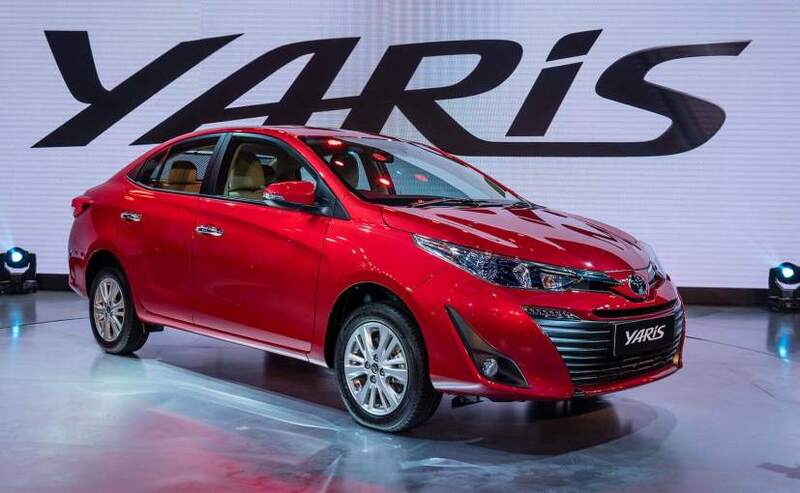 Toyota Yaris the proposed compact sedan from Japanese car maker Toyota Motors has been limelight in since it was showcased by the car maker during the Indian Auto Expo held during the month of February this year. Now as the company is all set to launch the compact sedan sometimes during the month of May this year in the Indian car market the list of variants and features that would be offered in them have leaked in the cyber world revealing the whole description about the car to the buyers. The bookings of compact sedan have however been already commenced by the dealers across the country, but official booking announcement by the company is reported to come out from April 25, 2018. According to reports the compact sedan would be offered in overall four trims namely J, G, V and VX. The transmission duties will include seven speed CVT transmission system followed by six speed manual transmission system in three trims. An interesting feature about all these trims is that all of them will be equipped with seven airbags, ABS+EBD and BA as standard feature. The color option will include six paint options. Let us now have a look about the features offered in different trims. J Trim will be equipped with seven airbags, ABS+EBD+BA, body colored wing mirrors, door handles, and halogen headlamps with projectors at the exterior front. Inside the cabin it will be embellished with air conditioner will manual control, power windows, height adjustable driver seat, cooled glovebox, keyless entry, instrument cluster with LCD multi info display, tilt steering, rear armrest and four speaker audio system. The G Trim will be equipped with power folding mirrors with mounted turn indicators, chrome garnished front grille, on the exterior front followed by the features offered on the exterior of J variant. Inside the cabin it will be offered with push button start, instrument cluster with TFT multi info display, seven inch infotainment system with four speakers, steering mounted audio controls, rear defogger and dual rear parking sensors. The V Trim will come with the features like manual gear transmission system, four wheel disc brakes, automatic headlamps with follow me home feature, seven inch infotainment system with six speakers, cruise control system, tail lamps with LED inserts, dual front and Quad rear parking sensors. Finally the last but not the least the top end trim VX will come with bunch of remarkable features including chrome garnished door handles, seven inch AVN infotainment system with six speakers, leather seats, eight way adjustable driver seat, paddle shifters, hill start assist system, rear sunshade and tyre pressure monitoring system. 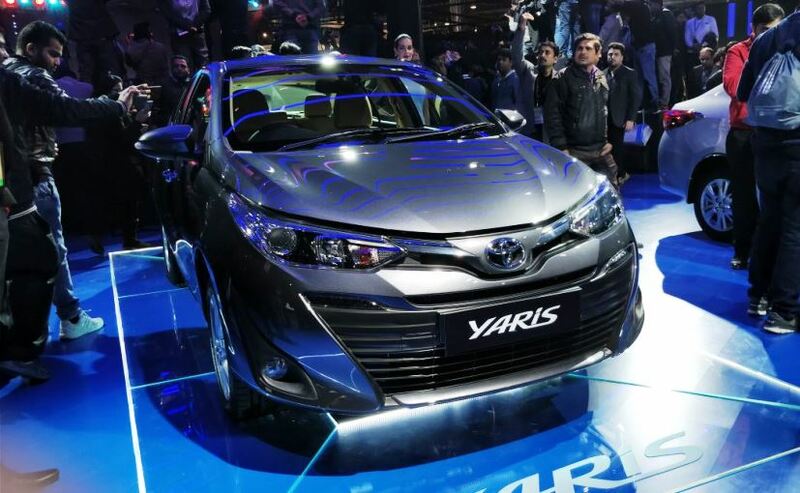 From the above mentioned description it is believed that that features offered in Yaris will be first in the segment and therefore will definitely give new directions to the forth coming cars in future.